It is easy to get started playing the Sims Freeplay because the game will prompt you to complete certain actions, and reward you with "LP" (Life Points) and money (Simoleons). You will be encouraged to start a career, obtain and improve upon hobbies, make relationships, have children, adopt pets, and more! 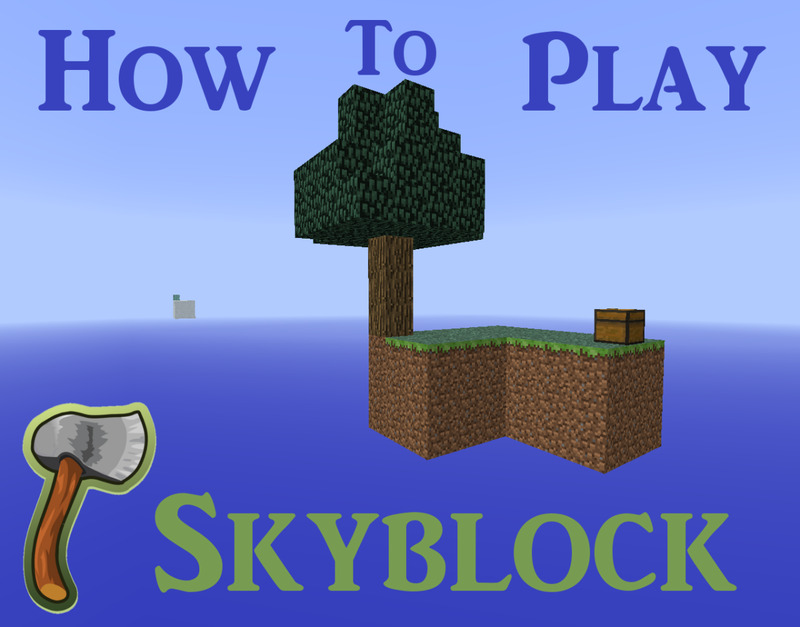 As the game prompts you, you will learn the ins and outs of game play. However, I can share some tips and tricks that will give you an advantage, so that you can make the best of your game playing experience! Simoleons Add up Fast When Sims Garden! Gardening is one of the best ways to earn bonuses early in the game. 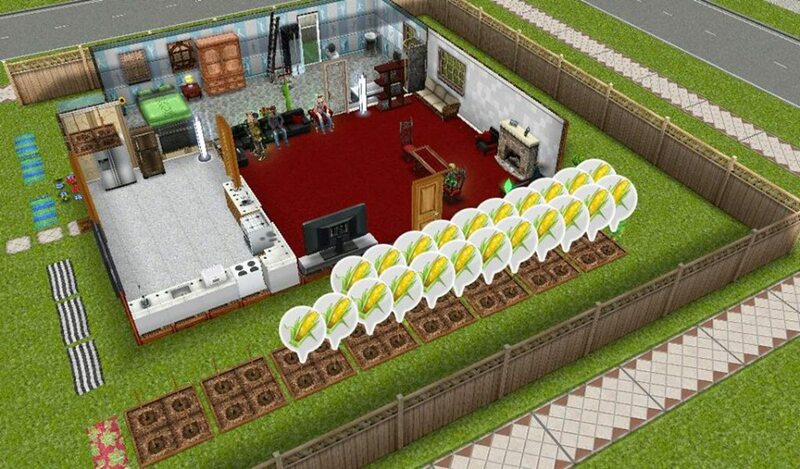 A Sim character can add garden plots to their home, and utilize these plots to grow vegetables, which help the sim gain Simoleons and XP points. XP points add up over time, and help the Sim advance to higher levels in the game. As you level up, more opportunities arise, like the options to add more Sims, houses, and furniture to your town. It is best to pay attention to the cost of vegetable seeds before you grow something, and seeds can be purchased cheaper at the grocery store, once it is built. While gardening, your Sims will be earning points even when you are not physically playing the game. So, before you go to sleep at night, let all of your available Sims do gardening. For example, let each Sim grow beans, which take 9 hours to grow, and by morning, your Sims will have earned tons of money and XP! Be careful for the "genetically modified" vegetable seeds, because they are a gamble. Sometimes they grow correctly, but sometimes they turn into a plant mutant, and the Sims will need to "negotiate" with this mutant to get rid of him. In my opinion, growing the genetically modified veggies is too risky and a waste of time. A new feature of the game is called the "Simoleon Sprout" and every 4 hours your Sim has a chance to win extra cash! Simply click on any garden plot to play Simoleon Sprout, or spend 5 LP to play more often. You must build the businesses and centers in town in order to get jobs for your Sims. Job opportunities include: Scientist, Artist, Real Estate Agent, Teacher, Politician, Athlete, Firefighter, Musician, and Actor. There is an option to build the career store, from which you can be special items that help Sims gain experience in their career. Examples are: a chalkboard for the teacher, an easel for the artist, and an auction podium for the real estate agent. You can choose a different career for each Sim, and as they gain experience, they will reach higher levels, each career has different names for the position levels. 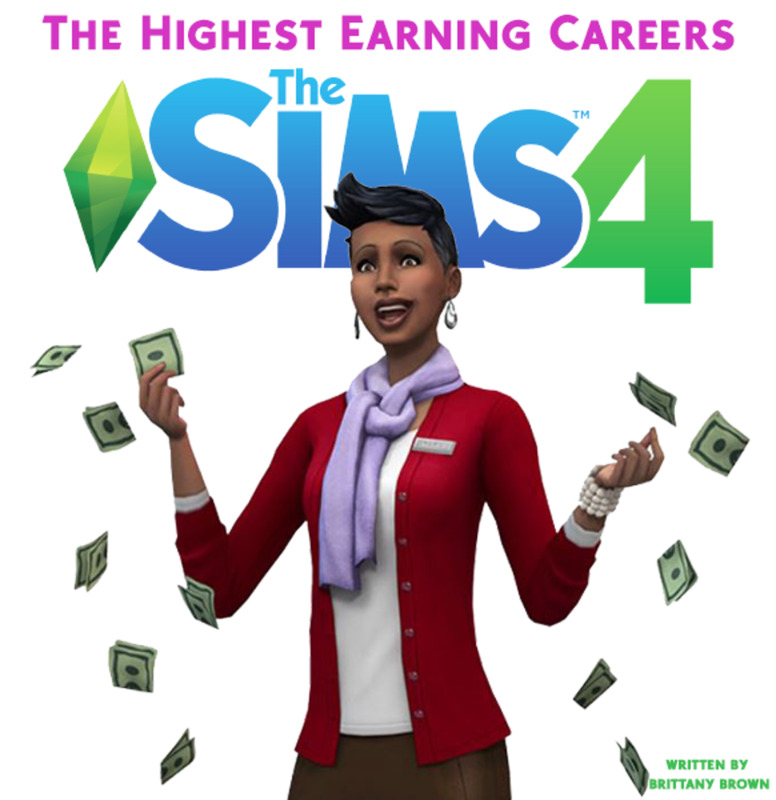 The higher the career level, the more Simoleons and XP tour Sim will gain by going to work daily. This is a great way to level up in the game, and you can use the Simoleons you earn to build upon your town, buy furniture, or buy other items for your Sims. You will notice that houses and businesses will rack up XP and/or Simoleons daily. It is best to check your town daily, and collect all of these bonus points by clicking on the blinking green and blue circles. As you pay to build houses and buildings, they will unfortunately increase in cost, but you will also be gaining experience and leveling up, so it you will also be making money faster. Your daily mail will reflect a bonus according to your town's value, so the more your town is worth, the fatter your daily bonus will be. There are hobbies for preteens, teenagers, and adult Sims. The preteen hobbies are: ballet, karate, diving, and figure skating. Of course, the appropriate buildings must be constructed to begin practicing these hobbies. You'll need to build the community center in order to perform ballet or karate... the snow park for figure skating... and the diving center for diving. 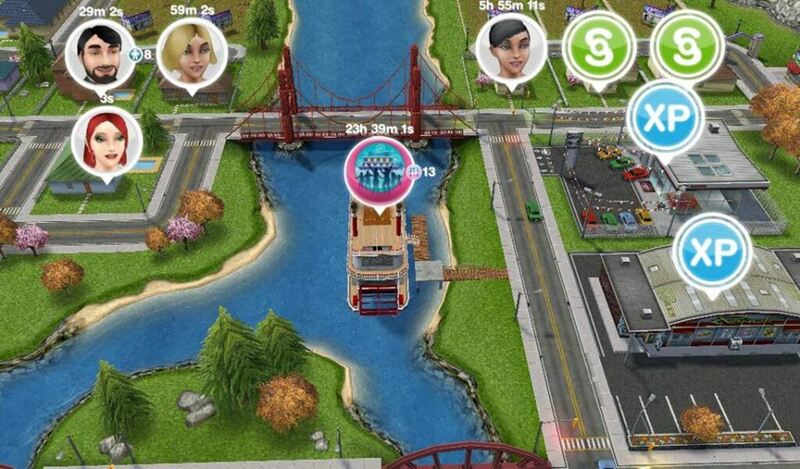 If you use the "party boat" option in the game, you may be able to learn these hobbies in another Sim's town (this happens when you connect your Sims game with facebook friends). The adult hobbies are: Ghost Hunter, Fishing, Fashion Designer, Diving, Woodworking, and Figure Skating. One of the easiest hobbies is fishing, all you need is to send a Sim to the Park and click on the pier. Over time, as your Sims practice their hobbies, they will become experts and will earn lots of XP! Teens have the hobby options of: Teen Idol, Figure Skating, and Diving. As your Sim practices a hobby, they will obtain medals or achievements, which will add up to bonuses and keys that unlock other paths in the game. For example, when your figure skater Sim wins all of the medals, she will get the key to unlock the toboggan ride at the snow park. The competition Center holds a daily competition, lasting 24 hours, which is either a career or a hobby. Once your competition center is built, click on it to see something like "Today there is a Fishing competition!" At this point, you will get to "select a Sim" where you will pick the Sim who is best at fishing. If they are at a high level in this hobby they are almost guaranteed to win. They will earn a few "LP" (life points) LP will also add up as you complete prompts from the game to complete certain actions. Once you have enough LP, you can buy items or use the LP to advance in the game. One of the best ways to use your hard-earned LP is to buy pets. Each home can own up to 2 pets, whether it be a dog, cat, rabbit, or reindeer. These animals will search for bonus money by digging. The more pricey animals will find more money faster. If you are in a hurry to complete a task, you may use your LP to make a Sim complete their task immediately, at the cost of 1 LP per hour. This can come in handy when you are trying to finish optional bonus missions that the game will prompt you to play. LP are needed to purchase specialty items, wedding rings, and birthday cakes. 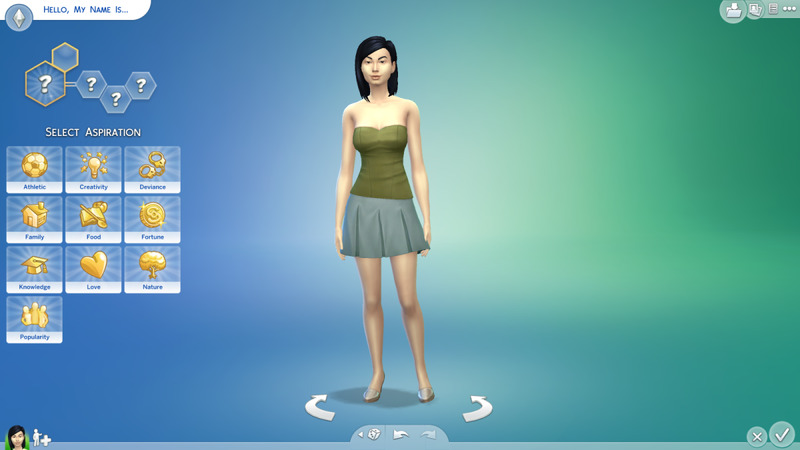 It is important to keep your Sims' basic needs met, but if you are in a pinch, you can select the cupcake located in the bottom-left corner near the Sim's face icon. By selecting the cupcake, you'll spend 5 LP to immediately fulfill all of that Sim's basic needs. This should only be used if you are desperate, because it wont take long to fulfill the Sim's needs "the old fashioned way." There is higher-level furniture available for purchase, and as your homes fill with better fridges, beds, toilets, showers, etc, it will take less time to fulfill a Sim's needs. When your Sims go to work or school, they will gain experience and keep getting promotions until they reach a top position. When they go to work each day, they will earn significant XP and Simoleons. One way to gain XP quickly is to buy towels and have all of your sims "tan" which is a 5-minute task. If you have 30 sims tanning repeatedly, the XP will add up fast! Once you have your Mysterious Island monuments started, you'll get frequent bonuses from all activities. When you have sims that are best friends, you can prompt them to "chest bump." 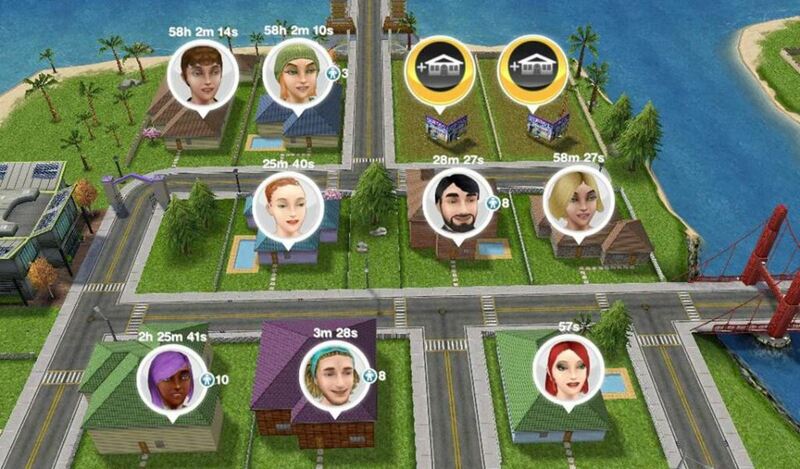 If you have a house with 10 sims (all best friends) you can keep telling them to chest bump, and watch how quickly you gather bonuses! Don't forget to check your mail daily, and check your town map to collect all simoleons and XP. The party boat has daily bonuses of LP and simoleons too! The fun thing about the Sims Freeplay is that it is virtually unending and there are always fun goals to complete. It is exciting to build your town and see the Sims advance in their careers and hobbies. Don't forget to have your Sims interact with each other to earn even more cash! When your Sims get romantic, they will be on a path to getting married and having children. One of the newest updates to the game has been recently added: the Mysterious Island. 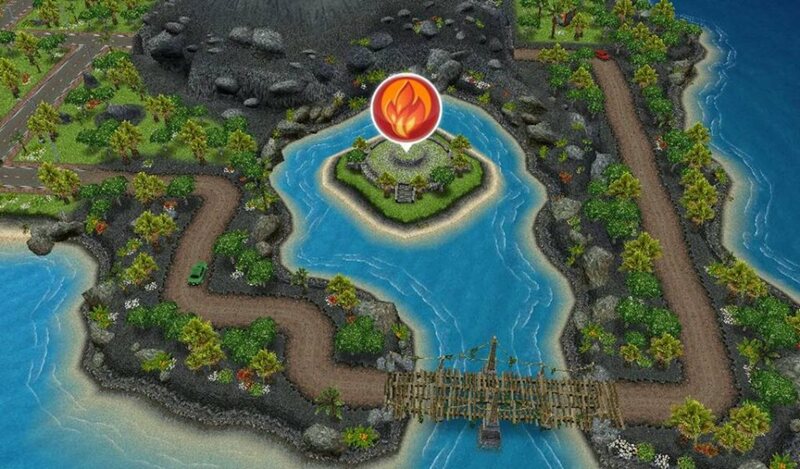 This gives players additional land to build upon, and has temples which help the Sims earn even more bonuses! The game includes additional quests from time to time, such as "Moving Up" and "Climate Control" and these side-quests make the game constantly interesting. 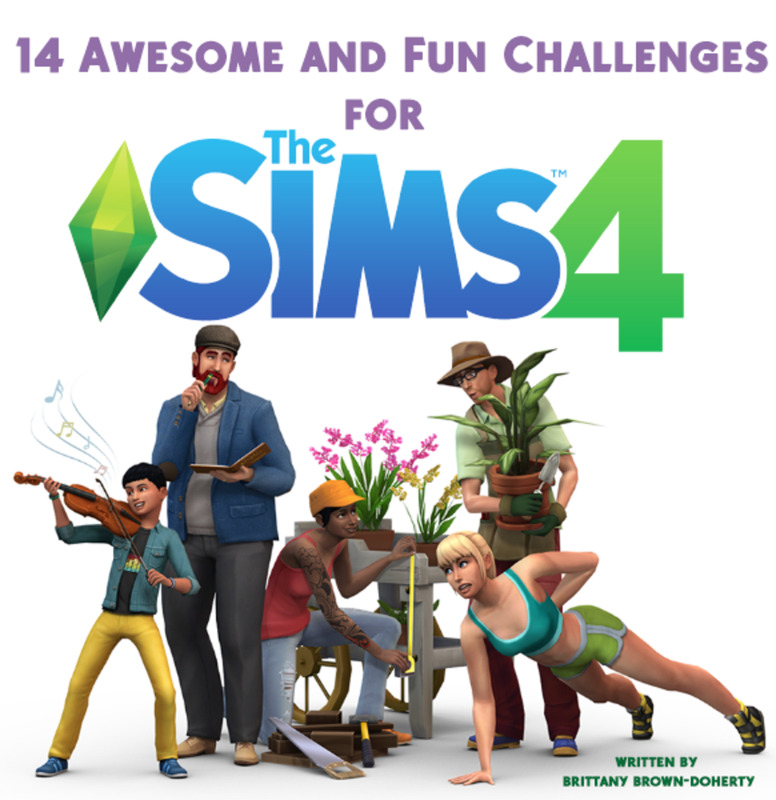 Completing these missions help Sims gain special items and bonus points. Some additional things that you can do for fun are: changing the Sims' clothing and hair styles, renovation on homes, arranging furniture and décor, cooking, using electronics, and socializing at places like the nightclub. By playing the Sims Freeplay, you will be constantly entertained and feel immense satisfaction as you continually advance in the game. I need help regarding sims free play police career..I feel like I keep sending my sims to work but nothing is happening to my police station..when will I be able to upgrade to the squad car? Lol I feel like I'm not making any sense..am I? Someone please help!!!! So I sent my sims to work and when done, it said sim has finished work he/she will be paid something simoleons and something lps but my simoleons and lps wont change . In order to make 5 Sims shower, you need to have each one individually get into a shower, and have all 5 simultaneously showering. 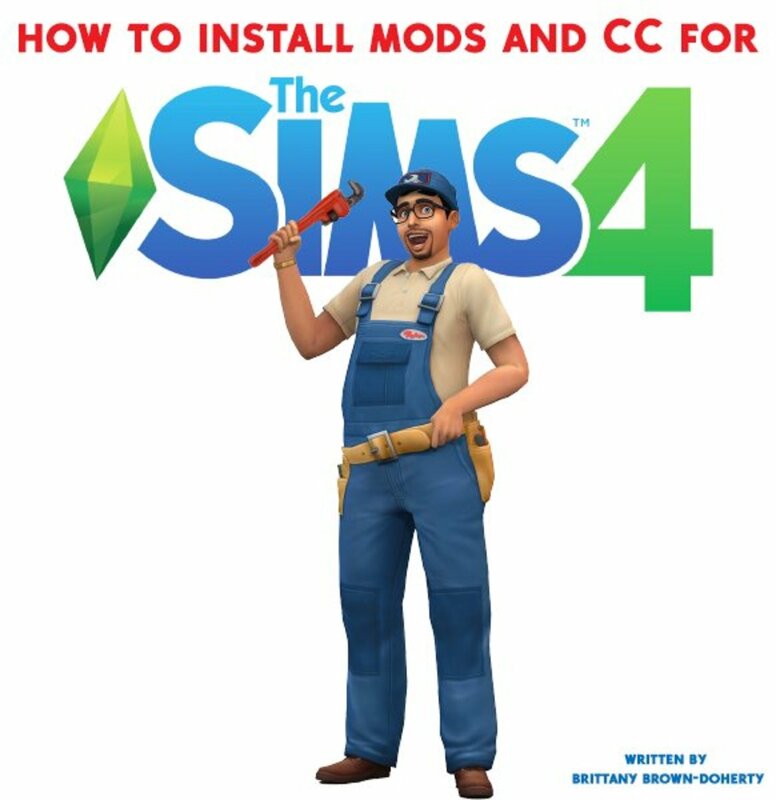 This is easiest if you set up one house with 5 showers and tap on 5 sims back to back, putting them in the shower for awhile so they all stay in, once the game tells you task completed, you can always cancel the showers and move on to a new task. How do I get all five to take a shower all at once. How do I complete the check mail task? I am keeping the mutant plants. In one house, I have "Michonne" from The Walking Dead. So on either side of her front door will be mutant tomato plants (in homage to her 2 slashed walkers from her first appearance on the show) as I can get to them. In another house I have "Helen Magnus" from Sanctuary. Behind her house she has a row of mutants... much like in the show Sanctuary in which she keeps mutants safe in the Sanctuary. My philosophy is, it took 6 hours to grow them. It's a waste to negotiate and let them go away. They are more "valuable" as amusements if you keep them as yard pets. The first time it happened, I had "Vala Mal Doran" from Stargate negotiate, then it all sort of felt anti-climactic. Now I am growing them on purpose this week and as time permits just for the pet factor. Hey, I'm playing Sims to have fun, not to just rush to the end and "beat the game". If you need to read a book, use the bookcase. If you need to read a magazine, use the stack of magazines, it can be purchased in the living room section of the furniture store. Try moving the crib around, maybe the opened part is blocked. 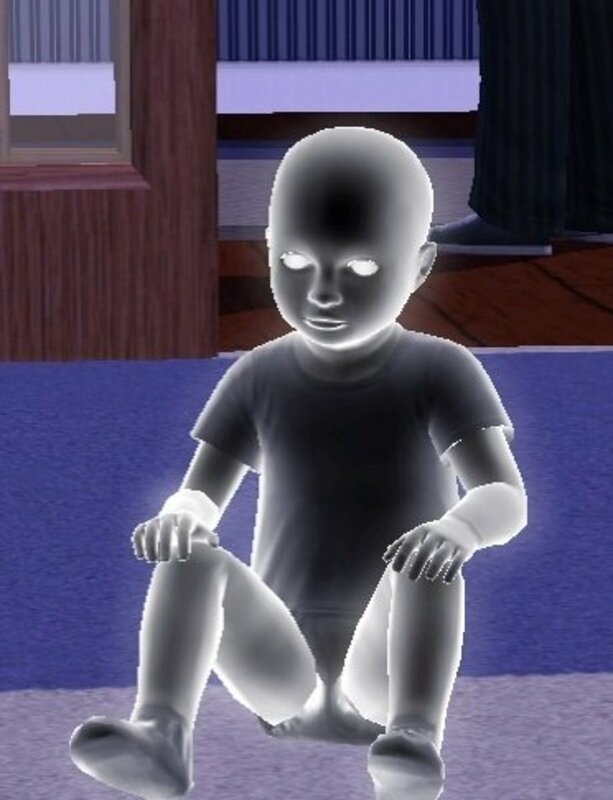 I finished the quest for a baby and now that I have one I can't get any of the sims to feed the baby. They all tell me no...... Is there something I'm missing? How do I make to Sims that are friend chest bump? Also how did you get your Sim to plant all those vegetables, when my Sim plants they stay right there by the one garden tending to it until the plants are ready? How come I didn't get a dog at the start of the game? How do I activate the earth icon on the screen? Samantha- Do you have something else that is being built currently? The game will only allow one structure to be built at a time. Tina- garden plots can only be used by one Sim at a time, but you can purchase more garden plots by clicking on the furniture icon, go to to garden/trees option, and under that menu, you can purchase more garden plots. For example, if you have 5 garden plots, you can have 5 Sims gardening all at the same time. I can't build my park. I click on it and it shows the requirements but I have all of it and it wont build. I'm almost done with the Love is in the air quest but I can't finish it until I build the park and it wont let me. I don't know how to "share the big news with a friend"! !Please help me!!! I have not found the option to move in. I've read so much stuff that says that there's an interaction that's says ask to move it BUT ITS NOT THERE in help it says your sims have to be good, best friends or be partners but my sims are partners and its not showing up. HELP!!! My neighbor is supposed to come to my town and practice art and she can't find the art easle when I have it in my bedroom. HELP! To ask another Sim to move in, I believe they need to be either good friends, if not, best friends. Also, if a Sim is married, they won't move. Pls somebody can I have your game centre and get a guitar as I can't complete the quest ! 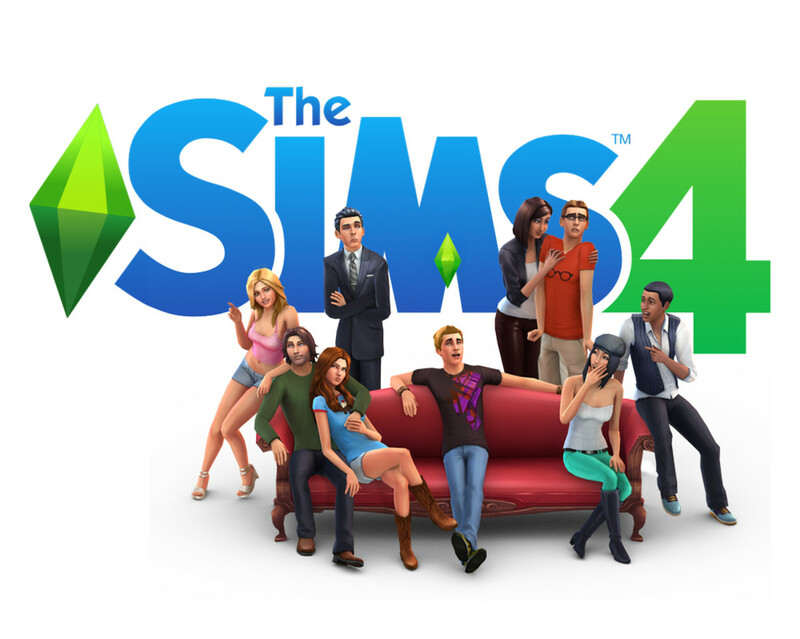 How do i share to friends about my sim relationship? and where is the coffe table exactly? I have task play frisbee with neighb. dog. They have dog. But I haven't option play frisbee. What can I do? I am sure that they have pet shop. But I don't see it. I need to buy a coffee table but i don't know where to get it..
Oh no! Well, if you can't complete that goal, the only other thing you can do is click the yellow circle that allows you to spend 5LP to bypass that goal, and will advance you to the next goal. I had the same happen to me when I had to do "make films in a neighbor's town" and none of my neighbors had a film camera. I even contemplated contacting the neighbors on facebook to ask if they'd put up a camera for me, LOL. Good luck! I need help! I have a task and its me having to play Frisbee with a neighbors dog, but they don't have a dog! I checked every house and no dog to be found! To "be funny," tap another Sim, and under that menu, there is a "be funny" option, among the others like "be nice" and "be rude." Nothing quite beats The Sims Freeplay.